I hope you had a great start in the week. I am trying to get the best out of the very last day of holiday but it started getting really windy here. It is great on one hand because it doesn't feel too warm but since I got a bit of cold going on, for me it is not that ideal. Tomorrow we will be flying back, *insert tears*. 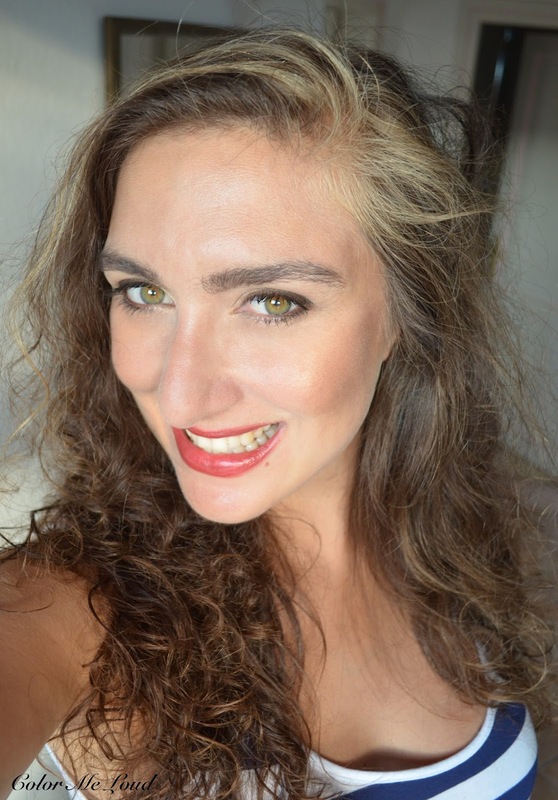 If you are a long time reader, you might know already that I am not a big red lipstick wearer. I shy away from red mostly because it looks a bit too overdone and too much on me. I have naturally pigmented lips and it is common that things turn neon on me although they are not that bright. An effect that I couldn't understand up to date. Reds in return give my face lots of drama. Remember I also can't go all that subtle on eye make-up, you know how it looks like in the end. I love Mineralize Rich Lipstick formula. It is very hydrating and deeper shades live out a good deal of stain which lasts long on me. The only disadvantage of this formula must be the higher price but since the formula is much better, I am willing to pay for it. 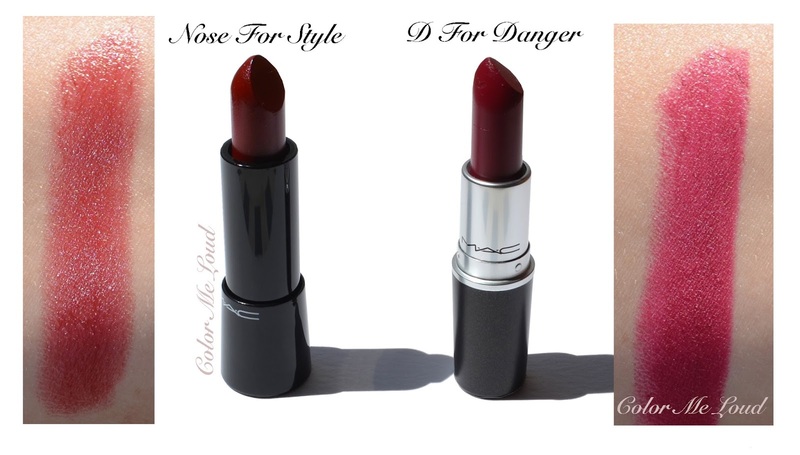 Nose for Style is a warm red with a touch of brown, looks a little vintage on the swatches. It has a bit of transparency and lovely red sheen to it which is not very apparent but gives a complex look. D For Danger is a mid-toned berry/pink red with matte finish. 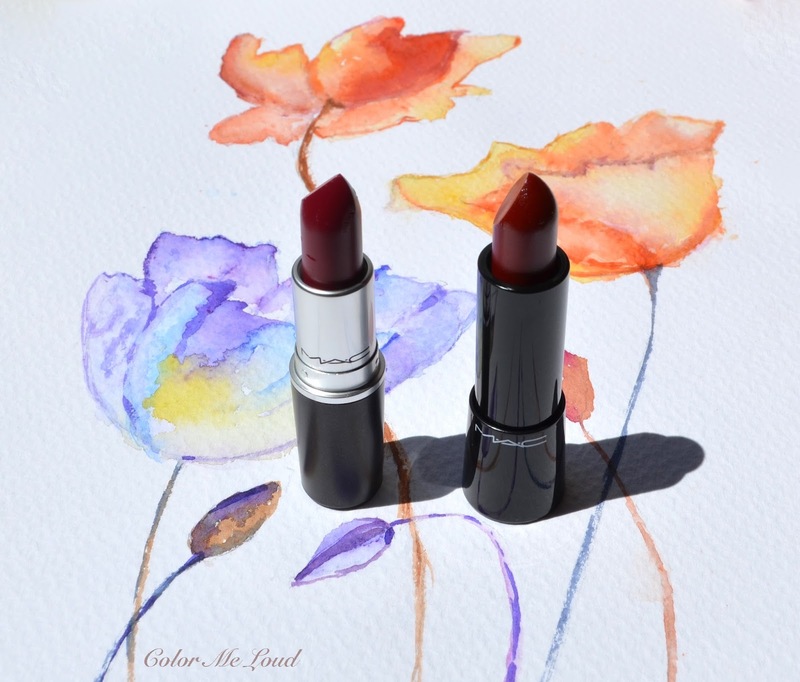 Very much like the MAC Matte Lipstick shades from last year (reviewed and swatched here), it is has a velvety finish which is comfortable to wear instead of being full on matte and drying. Some like it more matte but I personally love the way how matte property is balanced. MAC D For Danger is a shade which I thought would work out of the box for my complexion. It seems though I needed more pink blush to balance it. I have to learn to live with some tan I got during holidays. On my eyes and cheeks I am loving how subtle but lovely Laura Mercier Candle Glow Palette (reviewed here) combines with stronger lip color. For this look I should have applied the pink highlighter (Radiance) more on the cheeks but at the moment my photo taking sessions are not that optimal so I couldn't spot the missing pink on time. When I received Nose For Style, I was like "oh no a warm red, that will look terrible on me!". Honestly if I would have swatched it at the counter, there would be no way I would splurge for it. I know pinkish reds work on me much better but warm reds look a little off. It turns out though, there is a big fight between me and mom about this shade at the moment. We both want it and she is fairer (and has more pink undertones) than me. I don't know what is so special about this warm red but it is so beautiful, such an in-between shade of being berry, brown and red. It is hard to describe. Here is me wearing it, you decide. It just can't be the tan which makes it work or is it? Check out Allura Beauty for the swatches of all the Mineralize Rich Lipsticks from Haute Dogs Collection. I am definitely going to check Labradorable too, love the name and the shade alike. From Matte Lip Collection I am eyeing Man Love Mystery, you can see Melanie wearing it here. It is exactly my type of color *happy sigh* gorgeous! Final thoughts: Have I told you what I think before? MAC Lipsticks rock! Nose for Style and D For Danger are no exception. If you think you can't wear warm reds, I recommend you check Nose For Style because there is something magical in that which works for natural and pink undertones. D For Danger is a classical blue based red/berry for matte lovers. Love them both. 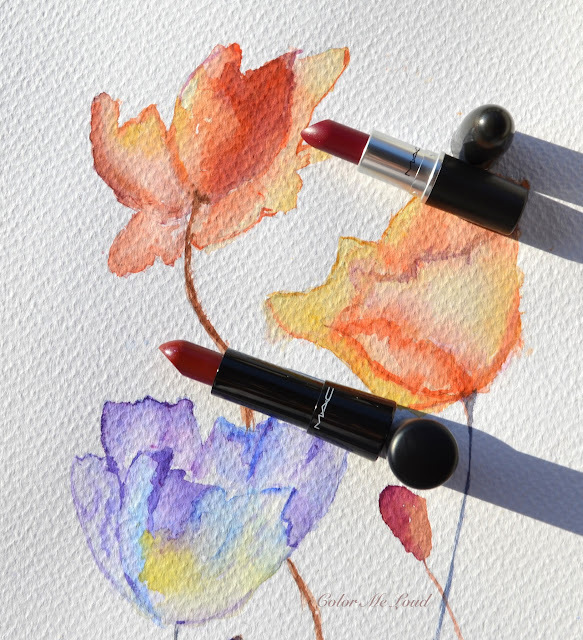 Have you picked any red lipsticks lately? Are you loving them? I must say that both reds look absolutely lovely on you, even if you're not a regular red lip wearer. Nose for Style indeed looks like an interesting shade! I will have to check it out since I don't think I have a shade similar to this! My recent fall red addition is the Kat Von D liquid lipstick in Nosferatu. Such a statement and works really well on me! The formula is great. Love your new blogdesign, btw! Hey Sara, did your mom paint that? It's lovely! I actually really like both on you! Nose for Style has as lovely "rusty" quality that makes it great for autumn. I actually don't think warm-toned reds look bad on you at all! That art work is really lovely--- your Mom's? I love Nose for Style-- it is just that perfect wearable neutral red and looks great on you. Men Love Mystery is the other side of the spectrum but you will probably love it. It's in the realm of Lavender Jade. Both are really pretty ! They both look great on you, Sarah although I like D for Danger slightly more. 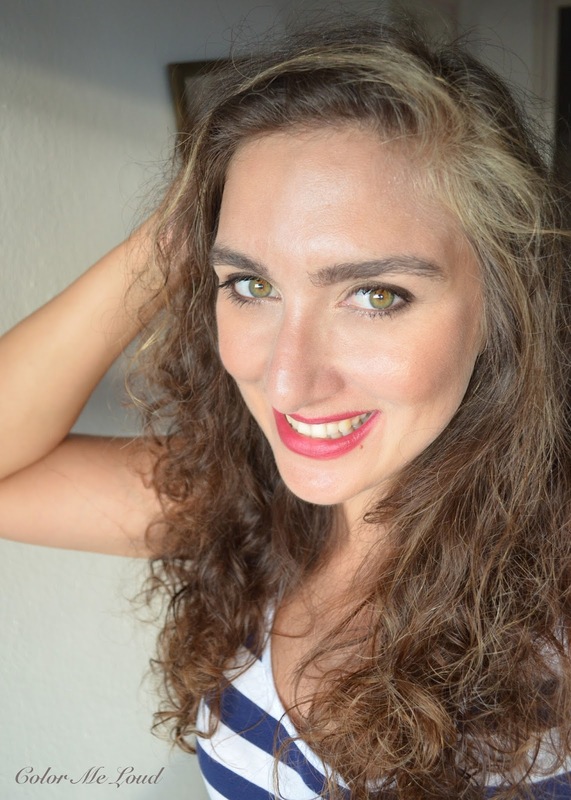 I don't wear red lipsticks a whole lot either and when I do it has to have pink undertones. Enjoy the last moments of your vacation! These both look great on you. Like you, I don't tend to wear bold lips that often. I also like a bit more drama on the eyes, and I find too much colour on the lips ends up being too much. Plus, I find them to be too high maintenance most of the time. :-) I picked up Rare Breed and really love it, but you're making me want to take a closer look at Nose for Style. You have nice tan going on, Sara!